For over 15 years now, Movie Edit Pro has been offering a unique workflow to create breathtaking films. 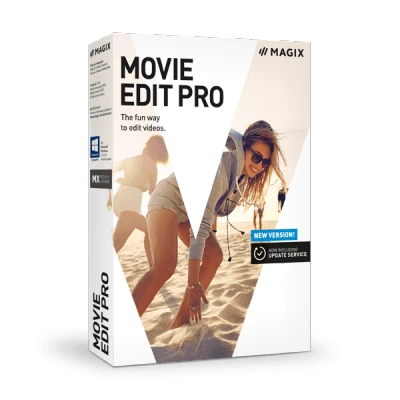 Access high quality effects and easy operation for amazing results with this powerful video editor. Thanks to the 32 multimedia tracks, the possibilities are endless. Intros/outros, transitions, titles, effects – all in perfect harmony with your recordings. Movie Edit Pro shows its true potential in Timeline mode. Show off your films in the best possible light. The beating heart of Movie Edit Pro is the special editing effects, premium sounds and songs and over 1,500 professional templates. You won't find this level of quality or variety anywhere else. Access the newly redesigned Media Pool directly within the program or find just what you’re looking for in the newly integrated Movie Edit Pro Store. Action-packed, breathtaking or understated: with every scene change, keep the excitement going. To help you fix one of the most common problems when filming, we've included the best the market has to offer, proDAD Mercalli V2. proDAD Mercalli V2 lets you rescue shaky video footage and transform it into something amazing. It's now fully integrated in Movie Edit Pro ($249 value). 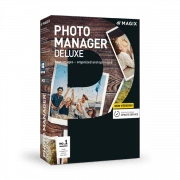 This photo management software helps you make the most out of your photo and video collection. Edit, sort and organize your photos & videos with ease.